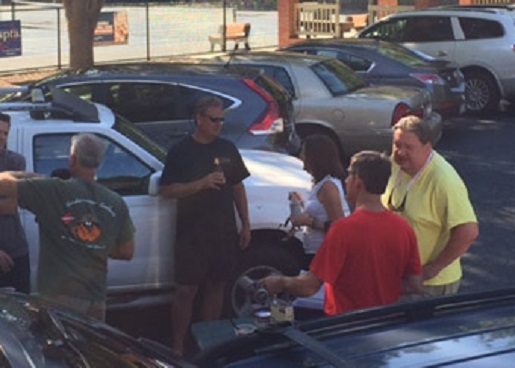 It was a great 3v3 Tennis festival this past weekend in Charlotte. Thanks to all the players and their families for helping make this a huge success. Check our upcoming tournament schedule online at worldtennistour.com. The third annual Turkey Bowl had a healthy attendance with spectators cheering on family members and friendly jibes echoed across the field. It’s interesting how an open field, pigskin and audience revitalizes everyone, if not in body at least their minds. Amongst sore joints, pulled muscles and bruised egos it was old school fun – a tradition captured in many family films, but brought to life at Park Crossing Recreation Club. 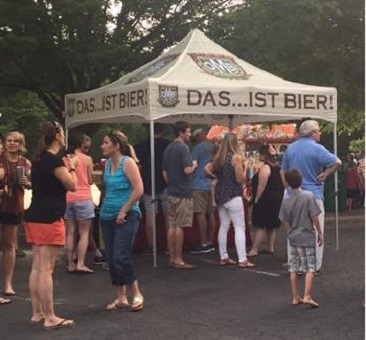 Food Truck Friday Draws Over 700! Mark your calendar for September 23rd because the next Food Truck Friday promises to be even bigger, better and to create many more memories and new friends. The volleyball club can’t get enough of the sand so they regularly sneak to the local shores to fish and have a club fish fry. Just another reason to bring folks together that doesn’t require jumping around and spiking a ball. While our 5.0+ Women's USTA tennis was marching towards nationals, we decided to enjoy some championship tennis along the way. Patrons lined the fences to get a glimpse of the highest rated amateur tennis in the county. 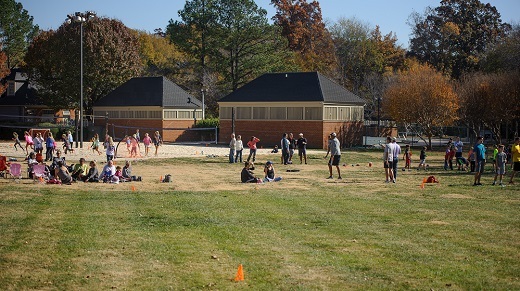 OMB was in the house and Smoked Pork Tenderloin sandwiches were served while kids played soccer, enjoyed the playground and used the volleyball court as their own sandbox. This event has turned into a family favorite as parents, and their children get to kick off the holiday celebration with family fun. It's just for fun, and all levels take a whack, miss, score; and all laugh. Burgers, hot dogs and chicken top off the event as families jibe each other with the memories made. Among the twinkle in their eyes and smiles across their faces, they felt the applause, and pride of their parents at the Swim Team Banquet. 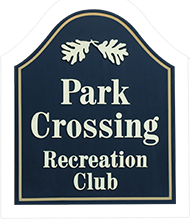 Recognizing those members of our families for being part of the team, achieving new personal bests and making new friends is part of the character building Park Crossing Recreation Club is trying to create. 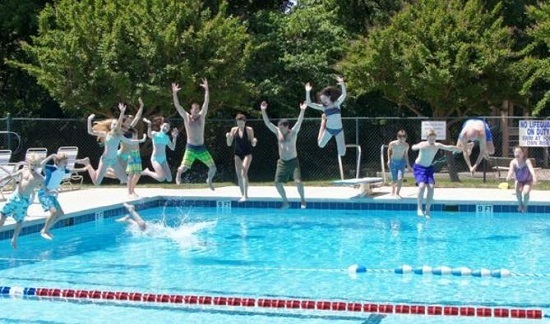 Some jump, some dive, but they all feel the chill once they christen the pool at the opening of the season. 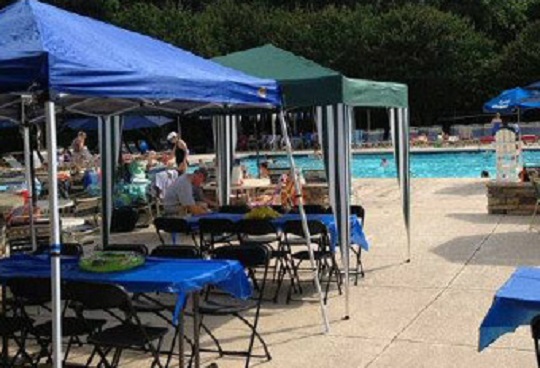 A celebration that summer is here and a reason to get together. “I’m alright” by Kenny Logins plays in the background and the anticipation of access all summer is just too much to handle. There were winners, losers and spectators as community members, both young and old, experienced and newbies tried their hands at Texas Hold’m. 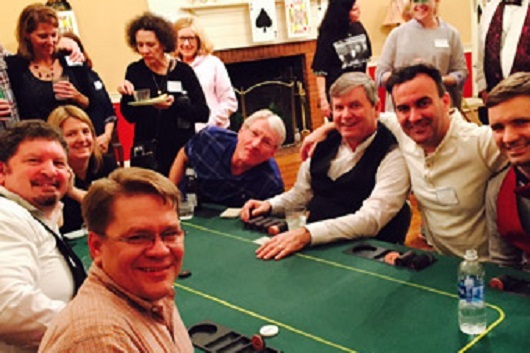 This regular event sells out every time and it’s mostly because members get a chance to really spend some quality time with each other. Nothing like a poker game to tell you about a person. Food, beer, wine and non-alcoholic drinks kept the participants and audience energized and talkative. 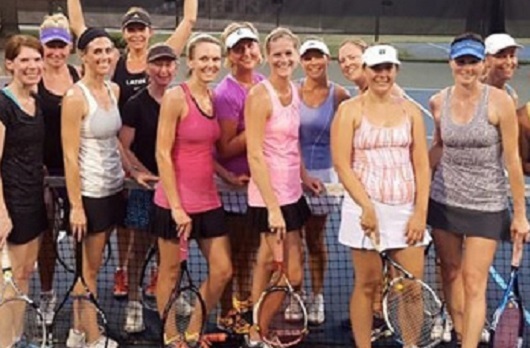 Tennis Club’s regular “Happy Hour-like” socials seem to be creating more tennis enthusiasts. Beer, wine and appetizers just seem appropriate around the tennis courts. The last theme was Cinco De Mayo and there was indeed a margarita machine; although the celebration was more about creating independence for the tequila captured in their bottles. All are welcome and indeed more “alls” are getting into the spirit of the club. Come join us.